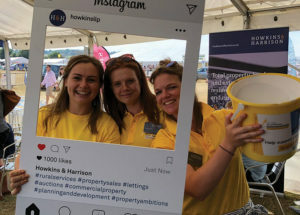 Back in 2016, Howkins & Harrison took on the property team of Fallowells to be able to provide both their and our existing client base in north west Leicestershire and Derbyshire, a full range of services and advice. The office included Mike Fallowell, Paul Lees, Jane Hall and Ian Large working in an office in Ashby de la Zouch. 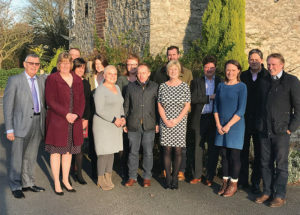 Fast forward 2 years and we have expanded further by acquiring Andrew Johnson & Co (a large estate agency business) as well as taking on two further members of staff; Anna Meynell and Ella Darby. Anna and Ella both offer a wide range of services, advice and experience between them, having both practised in the Midlands for several years. The expansion is fuelled by an increased workload as we pick up new clients in the surrounding area and northwards into Derbyshire. Our Atherstone office has also recently welcomed John Sawdon. John is a Rural Chartered Surveyor who has many years of experience in different areas of work and specialist knowledge of HS2, a much-needed skill in the Midlands. Both offices provide our full breadth of professional work and cover a large geographical and strategic growth area along the A5 / M42 corridor from Birmingham & Tamworth to Nottingham and Derby. 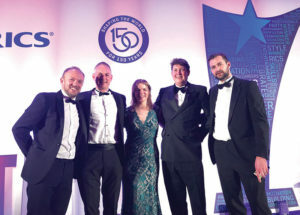 Jennifer was shortlisted for the RICS Young Surveyor of the year in the valuation category. A fantastic achievement for both her and our firm. Here are the team enjoying the awards ceremony in London. 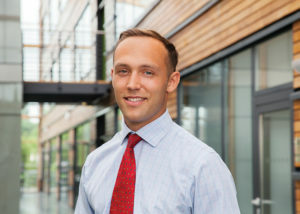 Josh successfully passed his APC earlier this year, becoming a fully qualified Chartered Surveyor and member of the RICS. This follows 4 years at University and then 2 years work with Howkins & Harrison. Thank you to everyone who came to Blakesley, Kenilworth, Ashby and Ashbourne Shows this summer and bought raffle tickets in aid of the Air Ambulance – we were able to send a cheque for £750 to the Charity – everyone knows what fantastic work they do. 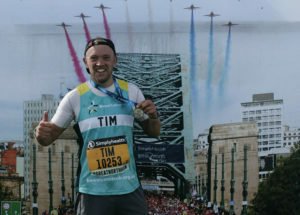 Tim completed the Great North Run in September raising money for Bowel Cancel UK. Thanks to everyone who sponsored him. He raised £2,491 for his efforts and finished the run (in sweltering heat!) in 1 hr 43 mins!